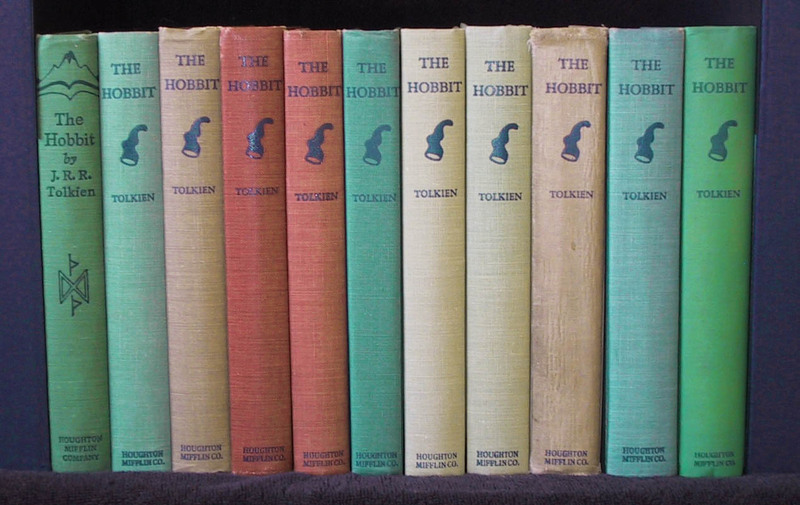 In J. R. R. Tolkein’s well-known novel The Hobbit, three common types of characters are seen: good ones, evil ones, and ambiguous ones. These can easily be defined based on how they use their powers, skills, or influence. Good characters use these qualities to help their friends and bring justice into the world. Ambiguous characters, as their name implies, do both good and evil things with their power, while evil characters use their powers only to exalt themselves and bring others low. The good characters are those who use their power and skill to help their friends. Bilbo Baggins the hobbit is the foremost of these, working diligently to save the dwarves from the many perils that beset them. Despite their ingratitude, Bilbo keeps working with them. His heart is for peace, and he gives Bard and the Elvenking the magnificent jewel known as the Arkenstone in an attempt to resolve disputes about the treasure of Smaug. Perhaps the most well-known hero of Middle-Earth is Gandalf. He uses his wisdom and skills to help others. In this story, the others are the company of dwarves with the hobbit. His knowledge of woodland creatures comes to their aid, as does his valor in battle. Elrond of the Elves is another hero, but in a different way than Gandalf or Bilbo. Elrond is a hospitable, generous, merry and wise elf whose house is open to travellers. Whether you liked “food, or sleep, or work, or story-telling, or singing, or just sitting and thinking best, or a pleasant mixture of them all,” Elrond’s house possessed it (Tolkein 61). Lavishly he bestows gifts on the travellers: food, advice, and decryption of the moon-runes on Thorin’s map, without ever a thought of reward. Ambiguous characters use their powers for both good and evil ends. Thorin Oakenshield is an excellent example of an ambiguous character. We see him fight valiantly against the trolls in defense of his companions. However, Thorin is also consumed by greed when the treasure stolen by Smaug the dragon is recovered. He refuses to give any of it to the Men of Lake-Town, even though their town was destroyed by the dragon. So greedy is he that he determines to fight to keep all the gold to himself, away from Men and their allies the Elves. But Thorin turns from a villain to a hero when he forgets his greed, allying with the Men and Elves to defeat the mighty goblin army. Mortally wounded in the battle, Thorin begs Bilbo for forgiveness before he dies, which Bilbo readily grants. Another example of an ambiguous character is the Elvenking. When we first meet him, he seems more like an evil character, capturing the Dwarves and locking them in dark dungeons. As the story progresses, we see another side to the Elvenking: he is a just and kindly ruler who does not want to fight the dwarves coming to reinforce Thorin in the Lonely Mountain. But Smaug is not the only evil character in The Hobbit. The Master of Lake-Town is almost the complete opposite from Smaug, but he is still an evil character. While Smaug is full of rage and powerful destruction, the Master of Lake-Town is cunning and double-dealing. He seeks to escape from Lake-Town as Smaug attacks it, but then proceeds to take a shelter and much of the food left in the wrecked town when the dragon is dead. Despite receiving a large share of unearned gold from Bard the Bowman, the Master refuses to use it to help rebuild the town. Instead, he embezzles it and makes for the wilderness, only to die, deserted by his companions. The characters in Tolkein’s book The Hobbit come in three easily recognizable types: good, evil, and ambiguous. But these three are not found in Middle-Earth only. It is easy to see people we know who are self-focused like the Master of Lake-Town, or generous like Elrond. Perhaps this explains the reason that The Hobbit has endured as a classic for 80 years: though it is set in a fantasy world with dragons and dwarves, the characters are easily identifiable because we encounter people like them in our everyday lives. 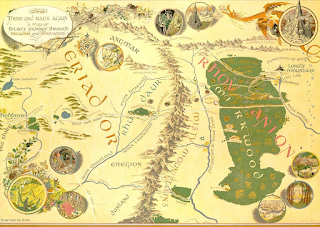 Tolkein, J. R. R. The Hobbit. New York: Ballantine Books-Houghton Mifflin, 1966. I enjoyed the character analysis! Very insightful. It's interesting because in the Silmarillion, there are a lot more ambiguous characters who do both good and evil, while in Lord of the Rings (off the top of my head) I think it was more clear cut as to the characters on the good side and the evil side. I love stories with both kinds--clear-cut right gives us a standard of truth, while ambiguity gives a good picture of the war in our own hearts between sin and righteousness. I'm glad that you enjoyed it! This blog post started as an assignment for a college course! I agree that stories with both clear-cut and ambiguous characters both help us to see the world and ourselves more clearly.